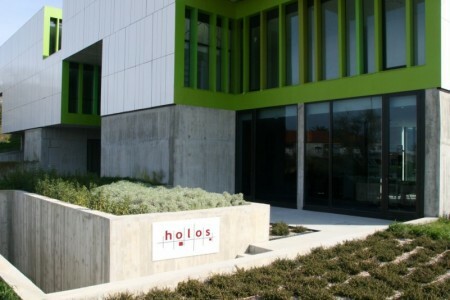 Founded in 1996, Holos was born in an academic environment, but soon became a leading technology provider in Europe. After two decades of working internationally and incorporating the know-how from different regions in the world, we consider knowledge the most important asset of the organizations. We use state-of-the-art technology to convert internal information to knowledge and our international networks and experiences to convert third party information into opportunities for our clients. Holos has its headquarters in “Madan Parque – Science and Technology Park of Almada” and a representation in Angola. strategic consulting in the Middle East and Africa. Besides that, Holos represents and commercializes solutions from international suppliers such as Google and Paypal. Holos has received several awards and certifications, among others, two Seals of Excellence as European Commission’s recognition of exceptional technological quality. Finally, we believe that, more than respecting, supporting human common values is an integral part of our mission. If you didn’t find what you are looking for, please contact us. Holos mission is to contribute to the development of organizations, by supplying innovative products and services that improve access to information, support decisions and generate knowledge.